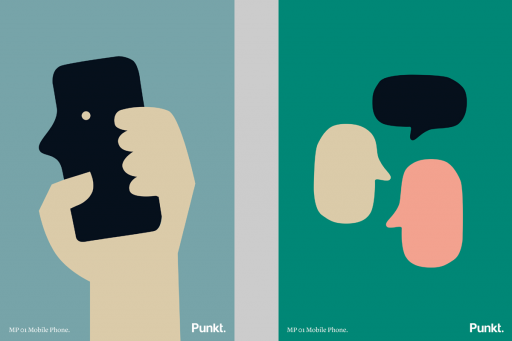 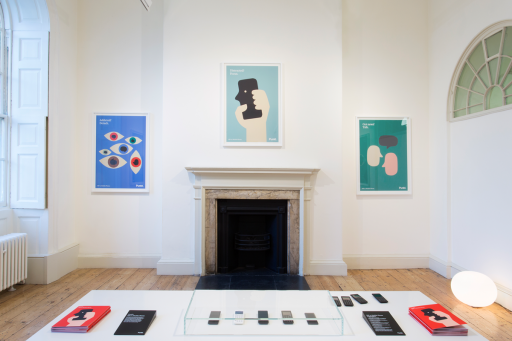 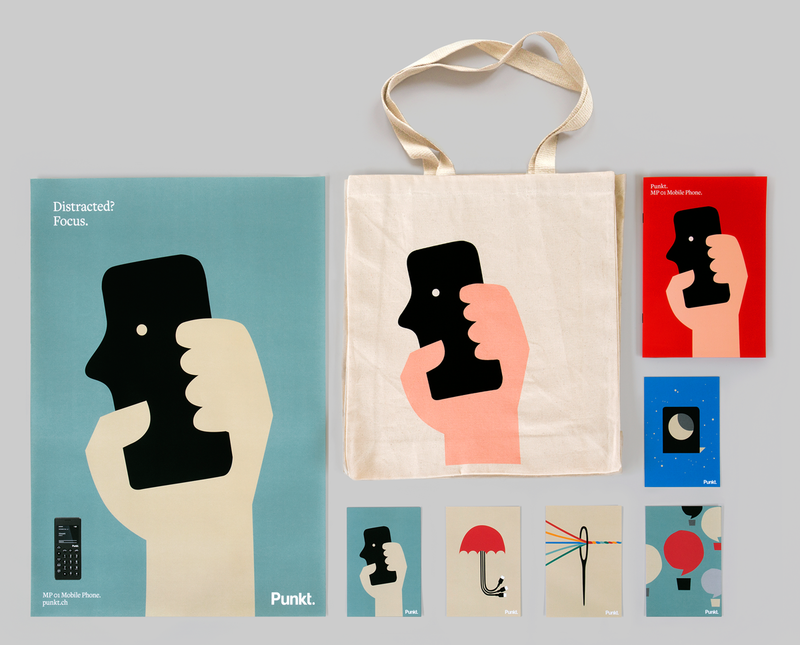 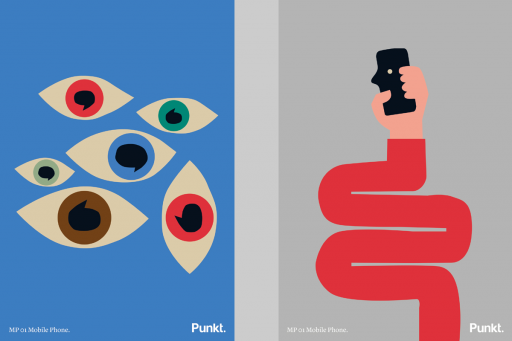 Launch of Swiss electronics brand Punkt.’s mobile phone at Somerset House. 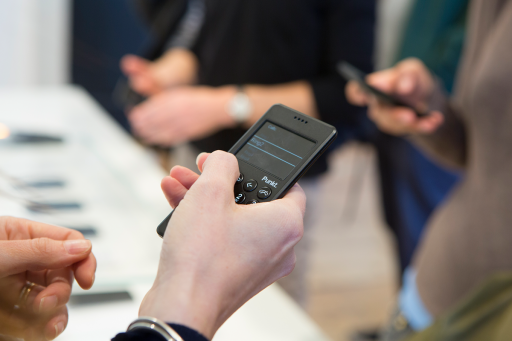 The device’s streamlined functions offer less distractions, allowing a user to focus and create more headspace. Illustration by Anna Kövecses. 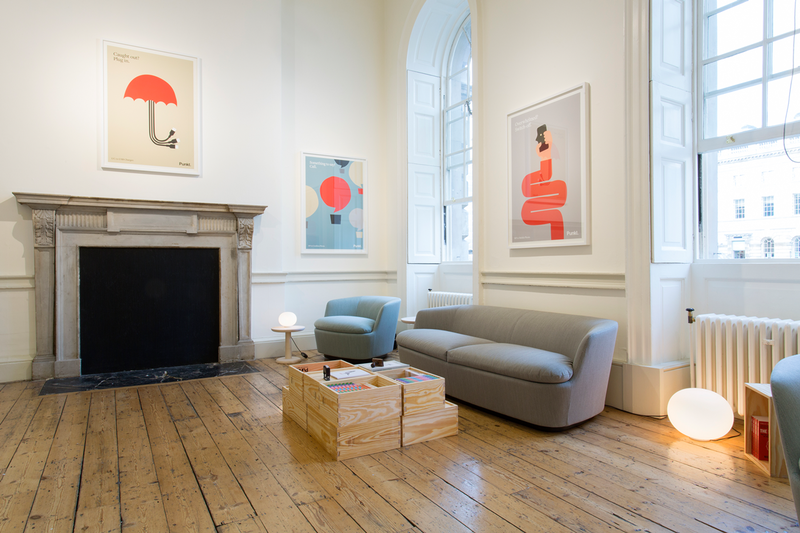 Designed at Rosie Lee.